100 Feet of Paracord - Proudly Made in the USA. Make your own Paracord Bracelets, Lanyards, Keychains, and Accessories Great for Knot Making and Braiding Crafts. ParacordHero 550 Cord Paracord comes with sealed ends, no hassling with frayed ends no more. 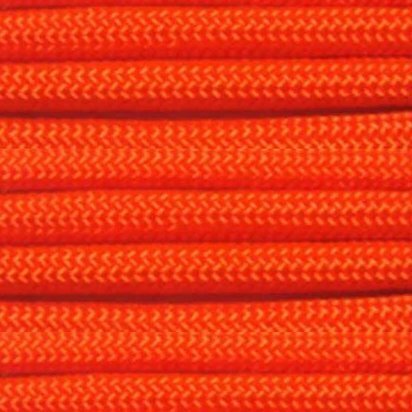 550lb Tensile Strength Cord is great for survival gear or that next camping trip. Paracord Hero Paracord Will not Rot or Mildew! Great for all your outdoor applications and adventures.